According to Zizi Papacharissi (2013), “The self, in late modern societies, is expressed as a fluid abstraction, reified through the individual’s association with a reality that may be equally flexible” (p. 207). She argues that social networking sites (SNSs) such as Facebook, Twitter, LinkedIn, and others present more opportunities for individuals to engage in “self presentation and identity negotiation” (Papacharissi, 2013, p. 207). This has given rise to the concept of a networked self, which occurs when individuals present various forms of themselves to one another at a distance. Gordon Carlson (2011) explains that the ability to control what information is being presented to others results in the presentation of a highly selective and carefully edited version of the self, which is then passed to others via the connectivity of the social networking platform. Furthermore, the original individual is receiving a highly selective and edited version of other people via the network, and these exchanges of information cause the individuals to reevaluate themselves in relation to the information they received from others. Thus, the way individuals perceive of themselves is informed not only by what they think of themselves, but also what they believe others think of them. This perception continues even after the individual has logged off of the SNS, and this suggests that “you are not just a self, but in fact you are a networked self” (Carlson, 2011, online). This paper will examine the ways in which virtual bands and Vocaloid performers represent and embody this notion of the networked self. They do this by highlighting a number of different concepts that are inherent to the idea of the networked self, including the fluidity of gender, the performative aspects of identity, and the flexibility of reality itself. More importantly, this is a result of the impact of new media technologies such as the Internet, and the development of learning software that is designed to mimic human life and intelligence on a very basic level. The virtual singers and Vocaloid performers cannot be said to have a sense of self in the traditional sense, but they are given identities and even lives (to a point) via the activities of fans, and this communal activity results in the creation a self for these virtual performers, who are often wholly created within a digital environment. Meanwhile, fans then appropriate this newly generated identity into their own through fan activities such as fan fiction, fan art, and cosplay. They are reevaluating their own sense of self in relation to information that has been provided by others. Thus, virtual pop stars and Vocaloid performers (and their fans) become an embodiment of the idea of the networked self. Virtual bands (also known as cartoon bands) are nothing new, and they have been around in one form or another since Alvin and the Chipmunks first burst onto the pop music scene in 1959. However, it wasn’t until the debut of Gorillaz in 2000 that the term “virtual band” came into widespread use, and was applied to other bands such as Dethklok and Deltron 3030 (Global Oneness, n.d., online). While the vast majority of virtual bands could be said to represent the concept of the networked self, as the identities of their members are often created and reevaluated through the communal activities of fans, it is best exemplified by the Studio Killers (Fig. 1). Founded in 2011, the virtual band consists of Cherry (vocals), Goldie Foxx (keyboardist), and Dyna Mink (DJ), and like Gorillaz, these characters serve as avatars for a trio of real musicians. Thus, the characters become a site of self-presentation and identity negotiation for the musicians, who are presenting themselves through the avatars of Cherry and her backup band. Fig. 1: Studio Killers consists of (from left to right) keyboardist Goldie Fox, lead singer Cherry, and DJ Dyna Mink. Click the image for a taste of the band’s music. More importantly, though, is how the character of Cherry allows for the unknown vocalist to cross the axis of gender, much like individuals on the Internet are able to engage in “identity tourism” by presenting themselves as something other than what they are in real life (Nakamura, 2000, p. 20). The most persistent rumor surrounding Cherry’s “real” identity is that she is being performed by Teemu Brunila, the male lead singer of the Finnish band The Crash (TV Tropes, n.d., online). Regardless of whether or not Brunila is the human performer behind the virtual singer, it is believed that a male singer voices Cherry. Online spaces such as MUDS and MOOS, and even more visual based Web 2.0 spaces such as Facebook and MySpace, allow users access to “project a version of the self which is inherently theatrical” (Nakamura, 2000, p. 16). This similar to the way that the performer who voices Cherry uses multimedia tools to enable possibilities of more controlled and imaginative performance of identity; she becomes another identity for the singer, one that he presents to the world via these multimedia tools. Therefore, she represents a negotiated self that the singer is presenting to the world, one that allows him to engage in a form of role playing that serves to “underline the arbitrariness of gender and reveal its symbolic as opposed to its biological function” (Morse, 1997, p. 27). This identity that the singer is presenting to the world is then appropriated via fans, who incorporate it into elements of their own identities through the act of cosplay, or through the writing of fan fiction and the creation of fan art. They are contributing to the creation of a sense of self for this fictional character that does not possess one beyond that which her creators (and fans) impart upon her. As a result, Cherry becomes a representation of the networked self. Cherry highlights the fluidity of gender, and her identity is negotiated and renegotiated by fans. Therefore, Cherry becomes a representation of the networked self. This notion becomes somewhat problematized when looking at Vocaloid performers, because they remove the human element even further. While virtual bands such as the Studio Killers rely upon human performers to give them a voice (and to provide the actual music), Vocaloids simply need a handful of programmers to type in a few lines of code to bring them and their songs to life. Developed by Yamaha in 2000, Vocaloid is a “singing voice synthesis” software application designed to allow “users to input melody and lyrics in order to synthesize singing” (Yamaha Corporation, 2013, online). Crypton Future Media made use of the Vocaloid software in their speech synthesis applications, and they believed that if their product was to be successful, they would not only need a highly appealing voice, but also an appealing image. Making use of the MikuMikuDance software platform, a proprietary freeware animation program developed by Yu Higuchi that allows users to animate and create 3D movies, Crypton set about creating a virtual spokes model for their speech synthesis software. Thus, in 2007, Hatsune Miku, the most popular and well-known Vocaloid performer, was born. Hatsune Miku is the most popular and well-known Vocaloid performer. Hatsune Miku and other Vocaloids cannot be considered “‘situated’ virtual agents” that possess the “capability of coordinating actions and perceptions over extended periods of time without (external) human intervention” (Kember, 2003, p. 94). In order for a Vocaloid to perform, they require a “real” human programmer to animate their dance moves and to input their voices “using fragments of voices recorded from actual singers, called the Singer Library” (Yamaha Corporation, 2013, online). However, this does not preclude them from acting as an embodiment of the networked self. While Vocaloid performers may not have an identity or a self programmed into them, they nevertheless gain one through the communal activities of fans, who not only impart a sense of self upon the Vocaloid performer, but at the same time reevaluate their own conception of self in relation to the created identity that has been given to the performer. Since her “birth” in 2007, Hatsune Miku has become incredibly popular, and one of the reasons for this is because “Crypton never gave the character a back story” (Mallenbaum, 2013, online). Beyond the fact that Hatsune Miku is a 16 year-old “android diva in the near-future world where songs are lost,” she does not have an identity of her own (P-tina, 2007, online). Nevertheless, fans felt a kinship with the character, and they have imposed upon Hatsune Miku different identities that would appeal to their own values. Indeed, Hatsune Miku has become “‘a hub of creative culture for collaborations’ among artists and fans: (Mellenbaum, 2013, online). They then alter and add to the character’s identity through activities including fan fiction, fan art, and cosplay (Fig. 2). These fan-created identities were then shared with other fans via social networking sites, as well as official and unofficial fan sites such as Mikufan.com. This then resulted in a networked self for the character, one that is composed of bits and pieces of identities that were created through the communal activities of fans. As one astounded viewer put it after watching a video of Hatsune Miku performing in concert, “When you put a personality to it, like they’re doing, then it becomes a real thing” (Fine & Fine, 2013, online). Furthermore, because the character was created digitally, and because there is no human element behind her beyond that of the programmers who input the lines of code that allow her to simulate human actions, she embodies a number of notions that make up the concept of the networked self. She has no gender (beyond that which is imparted upon her by the developers and the fans), and thus she highlights the fluidity of gender. She has no identity of her own, beyond that which the fans create for her, and so she is a prime representation of the performative aspects of gender. She has no race or ethnicity, because while the program currently uses Japanese, there is an English version on the horizon. Indeed, Hatsune Miku can be programmed to sing in any language, and therefore, she transcends concepts such as race or ethnicity. Also, her adherence to anime informs her look, which removes direct signifiers of race and ethnicity due to the cartoon representation. Finally, she exists almost entirely in a digital realm, yet she has an impact upon the physical world in the form of fans that appropriate her nebulous identity into their own, and therefore she serves as a reminder of the flexible nature of reality itself. Thus, Hatsune Miku and other Vocaloid performers serve as an embodiment of Jean Baudrillard’s (Fig. 3) concept of hyperreality, as they exist as a “real without origin or reality” that only serves to remind us of the artificiality of the “real” world (1981, p. 1). Fig. 3: Vocaloid performers act as a representation of Baudrillard’s concept of hyperreality, because they highlight the artificiality of reality itself. Virtual bands and Vocaloid performers exist at the axes of a number of binaries, and they serve to highlight the arbitrary nature of those binaries. Demarcations between male and female, human and artificial, real and unreal become blurred in the face of these avatars and artificial creations that highlight the fact that these notions are fluid and flexible, particularly in an age when individuals can make use of multimedia technologies to alter their identity and very sense of self. More importantly, though, they illustrate the impermanence of the very concept of the self, and serve as a reminder that who we are (or at least, who we believe ourselves to be) is every bit as fluid and flexible as the notions surrounding gender and reality. If a being can be created from nothingness in a digital environment without an identity of its own, only to have an identity generated and imparted upon it by other people, then our own identities are not as permanent as we might have previously thought. Thus, virtual bands and Vocaloid performers serve to highlight the fact that we are all subject to the idea of the networked self, whether we are male or female, online or offline, human or some form of artificial life. 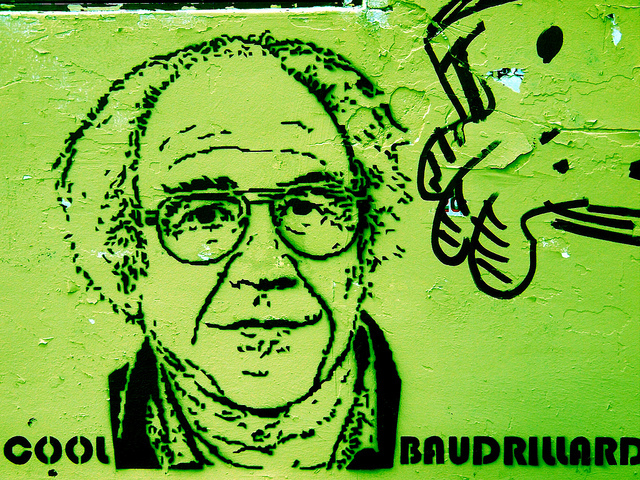 Baudrillard, J. (1981). Simulacra and simulation. (pp. 1-42). Ann Arbor, MI: University of Michigan Press. Kember, S. (2003). Cyberfeminism and artificial life. (pp. 83-113). New York, NY: Routledge. Morse, M. (1997). Virtually female: body and code. In J. Terry & M. Calvert (Eds. ), Processed Lives: Gender and Technology in Everyday Life (pp. 23-36). New York, NY: Routledge. Nakamura, L. (2000). Race in/for cyberspace: identity tourism and racial passing on the internet. In B. E. Kolko, L. Nakamura & G. B. Rodman (Eds. ), Race in Cyberspace (pp. 15-27). New York, NY: Routledge. Papcharissi, Z. (2013). A networked self: Identity performance and sociability on social network sites. In L. F. L. Francis, L. Leung, J. L. Qiu & D. S. C. Chu (Eds. ), Frontiers in New Media Research (pp. 207-221). New York, NY: Routledge. A great new blog on pop culture begins with a discussion of virtual bands, vocaloids, and what it all means for how we think about ourselves and each other.